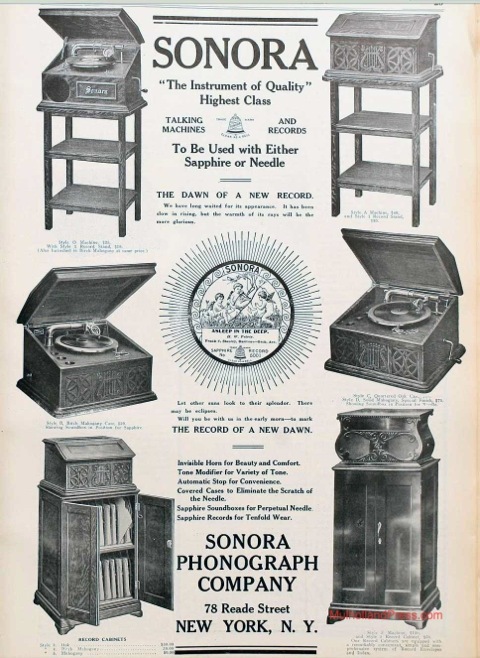 The second style of Sonora phonograph is illustrated here. The tone arm featured linear tracking powered by a feedscrew. This design was found to be in violation of the basic Victor patents, and sales were prohibited. 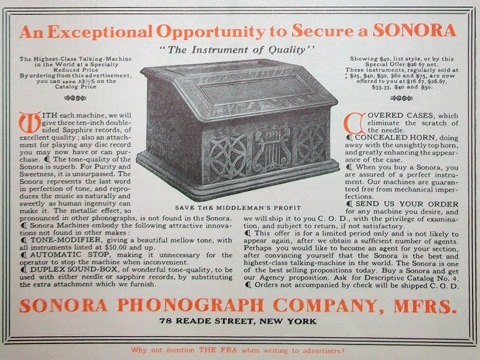 Consequently these feedscrew Sonora phonographs are rarely found.